Many have misinterpreted this year’s battle between Rob Bell and the neo-Reformed bloggers who have dogged him for the claims that Bell makes in his book Love Wins. It’s actually not a debate about whether or not hell exists; there’s a deeper question whose answer shapes how we understand the nature of hell and what we are saved from by the cross: Why does God judge us? Is it because God is an infinitely picky, supernatural version of Simon Cowell from American Idol who is allergic to our imperfection? Many Christians like me who grew up with this view of God as an uncompromising critic are now questioning whether this account is really biblical. What if, on the other hand, God hates sin not out of abstract pickiness, but because it hurts the people that God loves? What if God judges out of a desire for us to be reconciled with each other and Him in perfect peace and harmony rather than living in the selfishness and idolatry that spawn all sin? This is the vision offered up by the second chapter of Isaiah, which depicts two sides to God’s judgment: peace for those who seek it and wrath for those who despise it. The paradigm of Isaiah 2 helps us to better understand the problem that Jesus resolves for us on the cross. The cross does not convert God into loving us; it converts us into receiving God’s judgment as sanctification rather than wrath. When we are awakened to the reality that God judges us because He loves us, then we can love God’s judgment. The first five verses of Isaiah 2 present a beautiful, hopeful vision of a world in which the nations have “beaten their swords into plowshares and spears into pruning hooks” (v. 4). Sometimes people dismiss this vision of peace as naively utopian, but the basis for this peace is what keeps the vision from being naïve. Isaiah’s peaceful vision is centered around “the mountain of the LORD’s temple [which has been] established as the highest of the mountains” (v. 2). The lifting of this mountain symbolically represents a transformation in which “the nations” come to recognize the world’s true King and “stream” to Him to be taught “his ways, so that [they] may walk in his paths” (v. 2-3). The nations no longer “train for war” because they have accepted God as their rightful judge. Isaiah writes that God “will judge between the nations and will settle disputes for many peoples” (v. 4). In other words, the first part of Isaiah 2 tells us that God’s judgment is the foundation for world peace. The first five verses of Isaiah 2 raise a question: how will God’s mountain rise up so that His judgment can reign over all humanity? God’s judgment was anything but sovereign among a people who worshiped “silver and gold,” “chariots,” and “idols” that were “the work of their hands” (vv. 7-8). The only way for God’s holy mountain to be established among a land of many competing spiritual mountains was for God to “rise and shake the earth” (v. 19) on the “day [that God has] in store for all the proud and lofty” (v. 12) in an earthquake that levels “the cedars of Lebanon,” “the oaks of Bashan,” “every lofty tower, and every fortified wall” (vv. 13-15), all of which symbolizes the complete destruction of the old world order that defies God’s reign on what the Hebrew prophets called the day of the Lord. Only through this violent transformation could “the arrogance of man [be] brought low and human pride humbled” so that “the LORD alone [is] exalted” when “the idols disappear” (vv. 17-18). It’s important to read the two parts of Isaiah 2 together to recognize the interdependence between the two sides of God’s judgment. The mountain of the Lord in Isaiah 2:1-5 must be established through the day of the Lord in Isaiah 2:6-22. In order for God to create the safe space where those who desire to walk in His ways can be sanctified, God’s wrath must crush an oppressive world in solidarity with the victims of its sin. This means that what we need is not to be saved from God’s judgment as such, but to be delivered from the wrath and prepared for the sanctification. Jesus’ cross is the bridge over the fault-line demarcated by Isaiah 2 between a world that “love[s] darkness instead of light” (John 3:19) in its contempt for God’s judgment and the holy mountain where God’s people seek God’s judgment to chisel them into beautiful masterpieces (Ephesians 2:10). How are we delivered from one mode of existence into the other? Through having our hearts transformed by the cross. Many Christians have been taught that the blood Jesus shed on the cross serves the purpose of changing God’s mind about us, but Hebrews 10:19 says that the function of “the blood of Jesus” is to give us “confidence to enter the Most Holy Place.” Because “our hearts [have been] sprinkled to cleanse us from a guilty conscience,” we can “draw near to God with a sincere heart and with the full assurance that faith brings” (Heb 10:22). The justification of Christ’s blood converts us from contempt for God’s judgment to a desire for it by giving us the assurance of God’s love that lets us really draw near to God. Drawing near to God means more than just singing and reading about God. It means “throw[ing] off everything that hinders and the sin that so easily entangles [to] run with perseverance” up the mountain of God as our Judge helps us throw off sin the closer we get to the top (Heb 12:1). Throwing off sin is a painful but liberating process that involves submitting to God’s judgment because the cleansing of Christ’s blood has given us the assurance to do so. When we know that we’re justified by Christ and have no need to defend sinful behaviors that are indefensible, we can see that “God disciplines us for our good, in order that we may share in his holiness” (Heb 12:10). In other words, we learn to love God’s judgment because it liberates us from behaviors we learn to hate. Without Christ’s atonement, the judgment we receive from God’s law only brings about a “conscious[ness] of our sin” (Rom 3:20). The law is only wrath that condemns us. Knowing how badly we fail only becomes useful knowledge if we also know that Christ has redeemed us. But being justified by Christ transforms how we define our sense of self so that we call upon the Holy Spirit for help in a civil war against our own flesh when it persists in rebellion against God’s judgment (Rom 7). In other words, I view my lingering sin not as an essential part of my identity to be defended but as an alien presence to be stomped out – “a thorn in my flesh, a messenger of Satan” (2 Cor 12:7). If I accept Christ’s atonement, God’s judgment does not condemn me; instead it helps me to condemn my own sin in the subtler, deadlier forms that it takes the closer I grow to God. Through Christ, I take God’s side in battle and become part of God’s wrath against my own sin. Now here’s the problem: if I see God’s judgment as something that is supposed to canceled by Jesus’ sacrifice, then I might end up on the wrong side of the battle. Instead of desiring God’s sanctifying judgment, I might end up thinking that God won’t judge me if I can prove that I believe the right things about Jesus. In this mode of thinking, having the right doctrine is what saves us from God’s wrath and we proof-text the Bible to build up doctrinal systems for proving our faithfulness by arguing incessantly with our Christians, which is the sad story of Protestant modernity. But if Christ’s blood has helped us realize that God’s judgment is itself a gift, then we can read the Bible to be judged and sanctified by God in the “teaching, rebuking, correcting, and training in righteousness” that all scripture is supposed to be about (2 Tim 3:16). Facing the cross and the justification of Christ’s blood means embracing God’s judgment as God’s love. 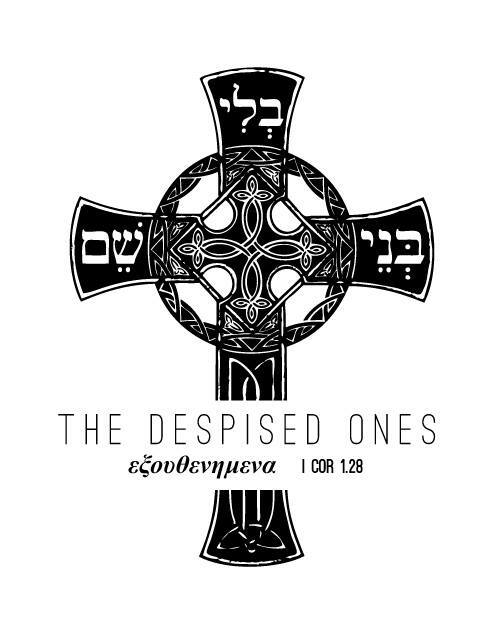 Judgment is wrath when we despise it, which the cross frees us from doing. If we trust in Christ’s atonement, then God’s judgment will help us throw off our sin so that we can fly like eagles to the peak of God’s holy mountain. This entry was posted in Theology and tagged 2 Timothy 3:16, God's judgment, Hebrews 12, Hell, Isaiah 2, Justification, Ploughshares, Rob Bell, sanctification, Wrath. Bookmark the permalink.